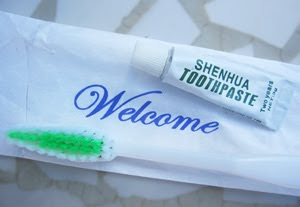 Shenhua toothpaste is part of a hospitality pack given to guests at the Sun Hotel of Ulaan Baator, Mongolia. All guests are welcome! The pack includes a lovely skinny basic toothbrush, with inside bristles in a lurid shade of green. 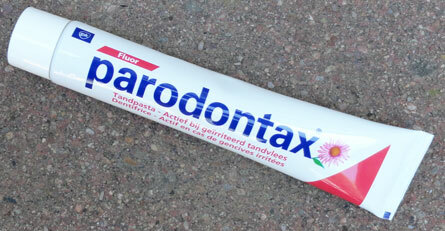 The paste is basic white mint with very mild flavor and unknown chemical composition or effects on human health. The paste is manufactured by the Shenhua Daily Chemical Products.Co,.Ltd < That punctuation is theirs, not mine. (I wondered why they are a "daily" chemical products company.) And I was highly amused at the lack of an expiration date - however, they had enough integrity to print "Two years" on the end of the tube. 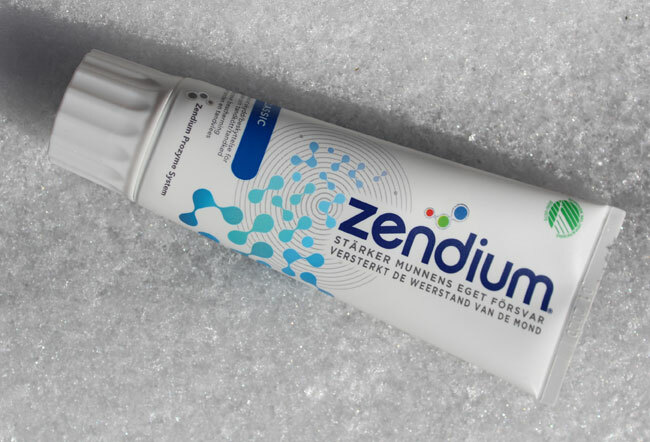 (That was the same printing as the product name.) 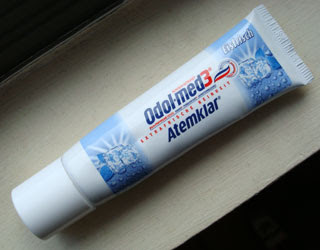 I guess the user should discard whatever remains of the original 3 grams, if they haven't used it by the end of two years since opening the tube.